Our members are the reason why we are here! 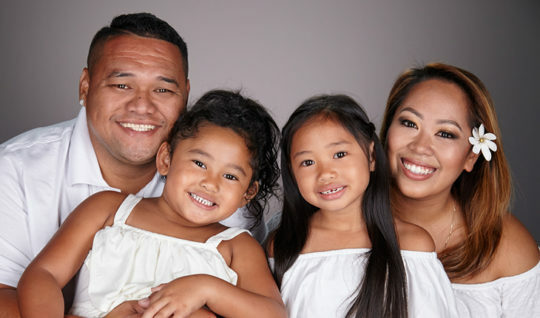 When you refer someone to Hawaii State FCU and they become a new member, we’ll enter you into a drawing to win $1,5001. The more referrals you make the more entries you earn. Step 1: Get a Referral Card at any branch or print the Referral Card here. Step 2: Tell a friend about Hawaii State FCU and all of the great benefits of membership. Step 3: Fill in your name, e-mail and phone number on the Referral Card and give it to the friend you are referring. The friend you refer then brings the Referral Card to the branch when opening their account. After the qualifying account has been opened, we will enter your name into the drawing. 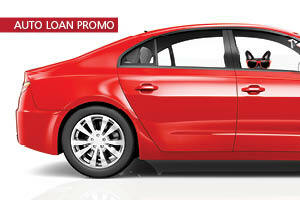 Bonus: There’s no limit to the referrals you can make! Congratulations to Hawaii Kai Branch member Patsy Chun, winner of our 2018 Quarter 4 Refer A Friend promotion. Patsy has been a Hawaii State FCU member since 2000. 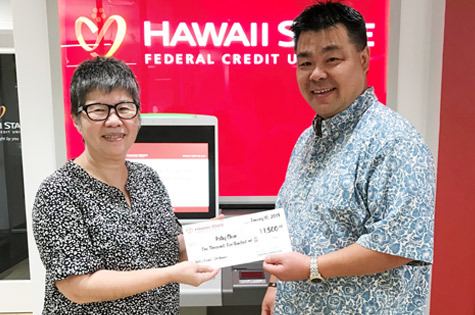 Caption: Patsy, left, receives her $1,500 check from Hawaii Kai Branch Manager Troy Yoshimura.